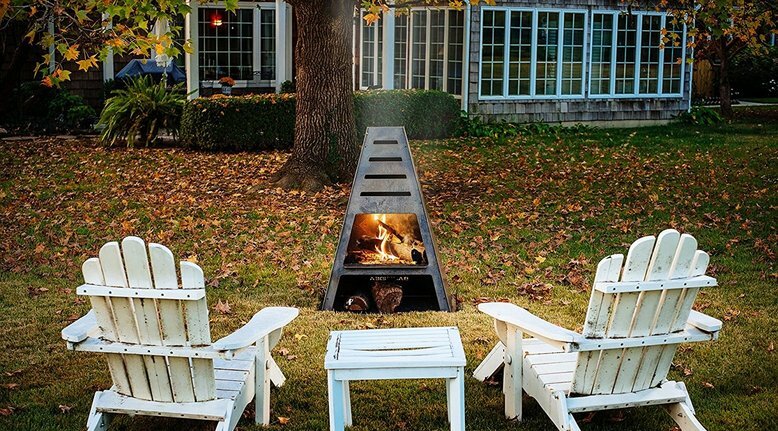 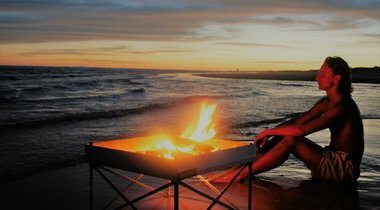 If you’re looking for a fire pit alternative than look no further than the Pyro Tower. 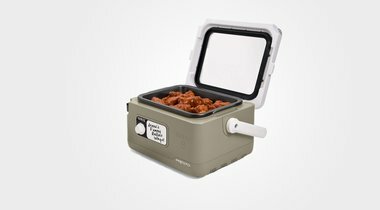 It’s made of thick steel, is durable, and it’s design diverts smoke up and away from your guests. 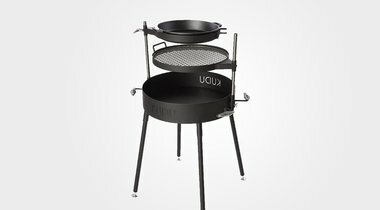 You can add the optional cooking kit if you’re feeling adventurous, and the whole kit and caboodle comes with a removable firewood rack. 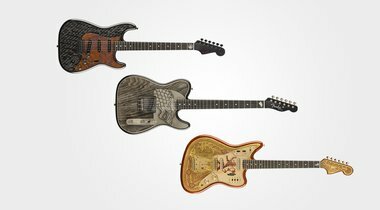 At the time of posting the price was $499.